Is your firm interested in collaborating on a bicycle, pedestrian, or transportation demand management project or program? Or are you dealing with parking issues at your business or organization? Wondering how to get started (or get your employees started) doing more walking, biking, carpooling, or taking public transit? Or just thinking about your household and owning one less car? Owned and operated by Sarah Cushman – a transportation planner, educator, consultant and former ASE Master-Certified auto mechanic – Cushman Transportation Consulting, LLC serves as a source of solid information and help with planning, promotion, and making transportation choices and changes. The bad news we all know: heavy financial burdens are being put on businesses and tax-payers for roads and parking, fuel costs are tough to manage, middle-income earners spend 22% of their income on transportation (and lower-income households spend 42% on average), obesity rates are soaring, and 40% of local air pollution and climate-changing carbon emissions come from transportation sources. However, the good news is that organizations and individuals have practical transportation options that will save money and improve public and environmental health. 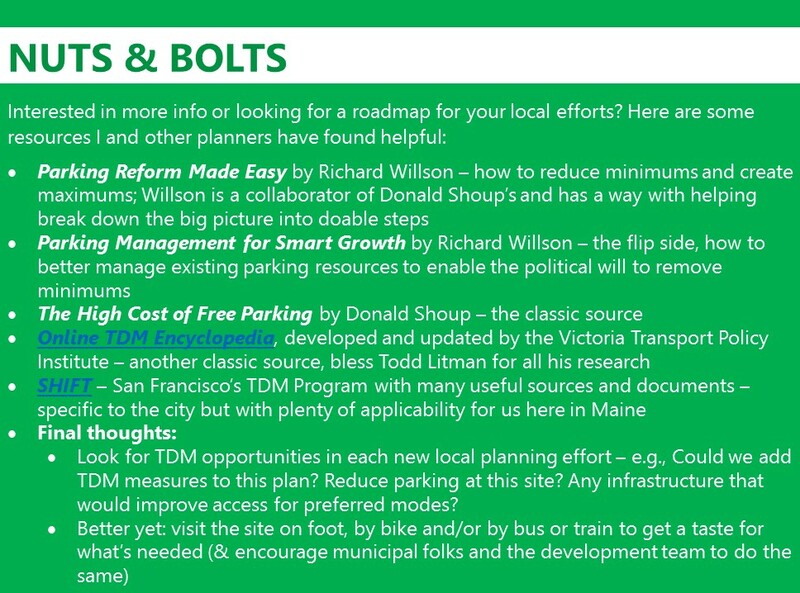 This article appears in the Maine Association of Planner’s November 2017 Front Page. One rainy evening this past spring I was at a birthday party for a friend and a woman I’d just met at the seltzer cooler asked me what I do for work. I stumbled around trying to explain I’m a Transportation Demand Management (TDM) consultant and what that entails. This is not unusual; I often wish we could come up with an easier definition for TDM. Even when we spell the words out it still makes people scratch their heads, including for many of us in the planning world. What the Heck is TDM Again? 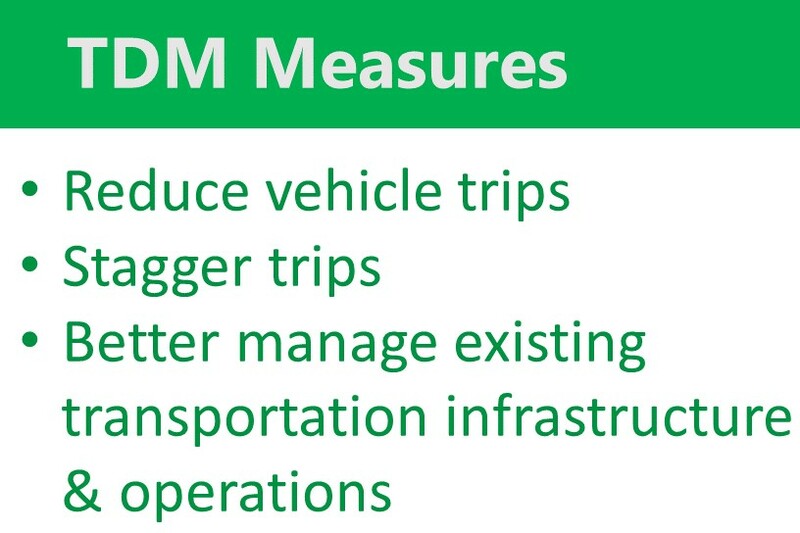 So, quick review: Transportation Demand Management is an alternative to going through the time-consuming and exorbitantly expensive – not to mention environmentally degrading – process of widening roads or building new ones to deal with additional vehicle traffic, with the subsequent result of “induced demand” that fills up that new supply in very little time. 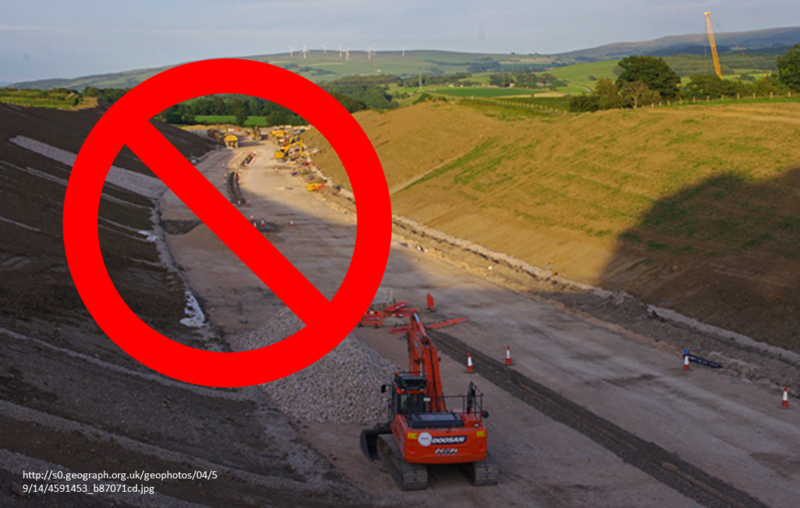 Instead, TDM practice employs a little Yankee frugality and ingenuity to fix and manage our existing roads better and reduce the demand on them in the first place. These are key for enabling the safe and efficient movement of goods, services and people across the state and beyond. They also engage individual Mainers, businesses and local communities in strategies that make us more economically vibrant and sustainable for the long-term. Most folks will just want the road widened, not knowing about induced demand. But with a never-ending backlog of many millions of dollars in current infrastructure maintenance and improvement projects and the climate-changing impacts of transportation emissions, Maine simply can’t afford to widen or build more roads. Through good dialogue with the people in our communities and by putting diverse practices to work locally and regionally, the fiscally conservative aspects of TDM have legs across the political spectrum. Yeah, but… What Does That Really Look Like in Planning? As planners we are forward-thinking folks about this but just to be clear: the more densely we can develop the heart of our communities – including vibrant open spaces and gathering places – the friendlier and more viable it is for people to walk, bike and use current or future public transportation to reach local destinations. Reducing or removing requirements for off-street parking and introducing parking maximums are a significant strategy for permitting this needed density. Density and reduced parking, in turn, lead to greater economic development returns. By ditching antiquated parking standards – and the poor revenue we get from land used for parking – our communities build wealth through more productive land uses like housing and businesses. Providing wayfinding and real-time messaging about space availability on-street and online – to help visitors find local parking resources that might not be on principal streets. Spending revenue from parking directly and visibly on improvements in our village or downtown areas – e.g., through beautification projects like flower planters that are also sidewalk furniture. This is a great start. It still puts the burden on the developer, so a complete removal of parking requirements and the addition of parking maximums would be good next steps as the town becomes more comfortable with the results. Every once in a while as planners, we run into a project where parking isn’t provided (or doesn’t end up getting built) where it might actually be useful. Jim Fischer, formerly of the Hancock County Regional Planning Commission and now working as an independent planning consultant at Jim Fisher Regional Population, Health and Planning reached out to share the following experience. 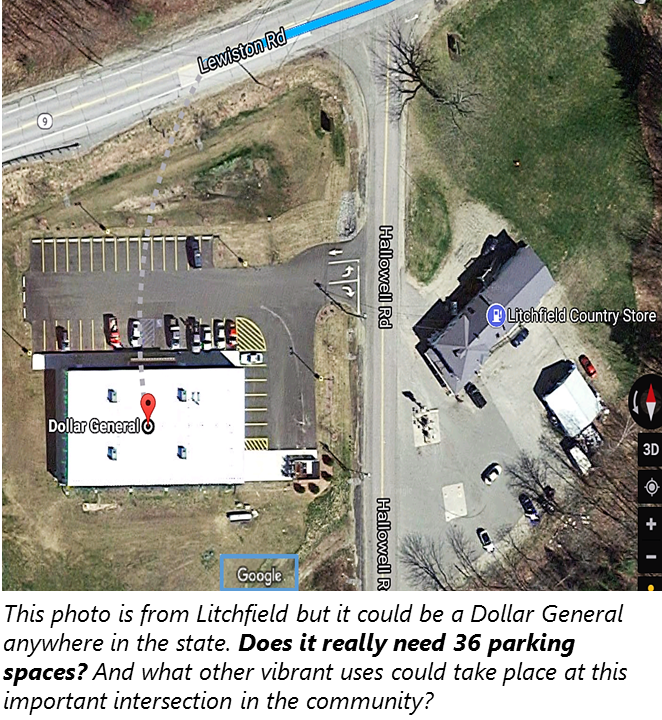 “I worked on a local impact analysis for a proposed visitor center in Ellsworth, including provisions for some parking. The site also would have likely promoted bicycling and transit use.”” Fisher reported. 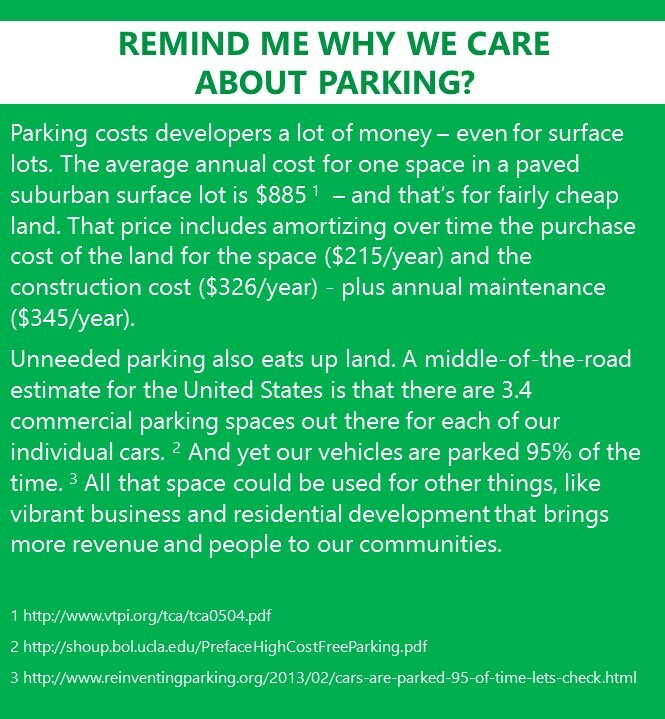 However, it’s more common for us to build too much parking – sometimes even when removing parking minimums. This brings us to the value of parking maximums. Since developers generally don’t have the time or money to do their own parking analysis, they pull ready-made parking numbers from the Institute of Transportation Engineers (ITE) Parking Generation manual – which even ITE recognizes needs updates and additional data from rural, suburban and urban contexts. It’s the classic “the standard made me do it” situation. Of course, one size does not fit all and so we often end up with parking excess. That’s enough parking discussion for now – let’s talk about site-specific Transportation Demand Management plans. Individual sites in a community don’t exist in a vacuum on their own but many people in the community might see them as just that. As planners, you are the heroes that see the full picture – the developers’ goals for a particular project and the broader community context and vision for growth. 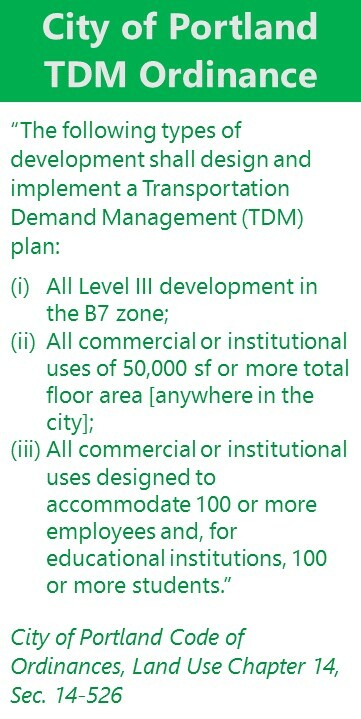 In addition to other site planning considerations, such as architecture, location of the building on the site, and integration with the surrounding neighborhood, we can also request an applicant develop a vehicle trip-reduction or TDM plan to reduce the site’s traffic and parking impacts. The ordinance is applied to diverse site uses. For example, in recent months I’ve worked on the TDM plan for the Baxter Academy of Science & Technology – a charter high school with 60 staff and growing to 400 students that is moving from its original location near the waterfront to the Bayside neighborhood. 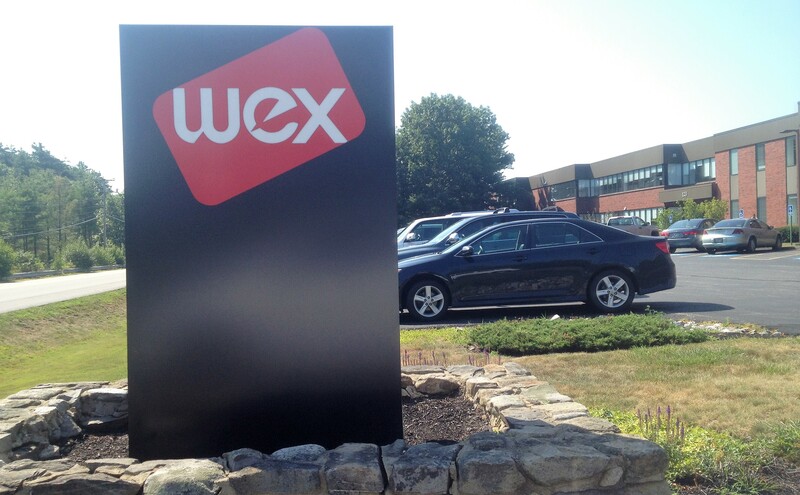 Another example is for a commercial office space, like the TDM plan for the WEX global headquarters I’m working on, to facilitate the company’s move from out near the mall in South Portland to the Portland eastern waterfront. Similarly, it’s been a great experience helping update the TDM plan for the St. Lawrence Arts Center to build a new 400-seat addition without adding on-site parking, since it was originally built as a neighborhood church to which Munjoy Hill residents walked. The St. Lawrence is an excellent example of leveraging TDM efforts to help with transit expansion. Under the conditional rezoning agreement and TDM plan, the venue will pay the Greater Portland Transit District (METRO) $70,000 per year for extended bus service from downtown to the East End. This will serve both patrons and the larger community. TDM planning is showing up elsewhere as well. PACTS and the City of South Portland developed a TDM plan for Southern Maine Community College (SMCC) to provide more transportation choice for commuting students and also to mitigate the impact of student driving and vehicles on South Portland’s East End. 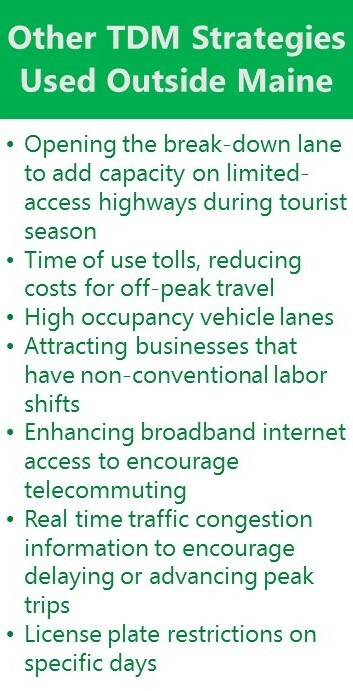 Among the key recommendations were a number regarding improving access to transit. From all appearances current bus ridership is solid and this was echoed by Tex Hauser, Planning & Development Director of the City of South Portland. Having the capacity to monitor the plans and insist on a good faith effort at implementing them is one of the trickier pieces for municipalities. Part of that has to do with the fact that the developer is required to submit the plan, but it’s the tenant who must implement it. Another issue is staff time and capacity for follow up. For a number of years the Department of Public Works monitored the plans in Portland and now they’ve moved to the Planning Division for more concerted oversight. Senior Planner Nell Donaldson has been tasked with reviewing where existing plans stand and helping further their implementation. “The city has built a strong foundation and this is a good time for advancing the TDM Program and moving the ball forward. We’re seeing more and more development and people are more open to doing things a little differently. There’s also interest and support here at City Hall,” Donaldson said. 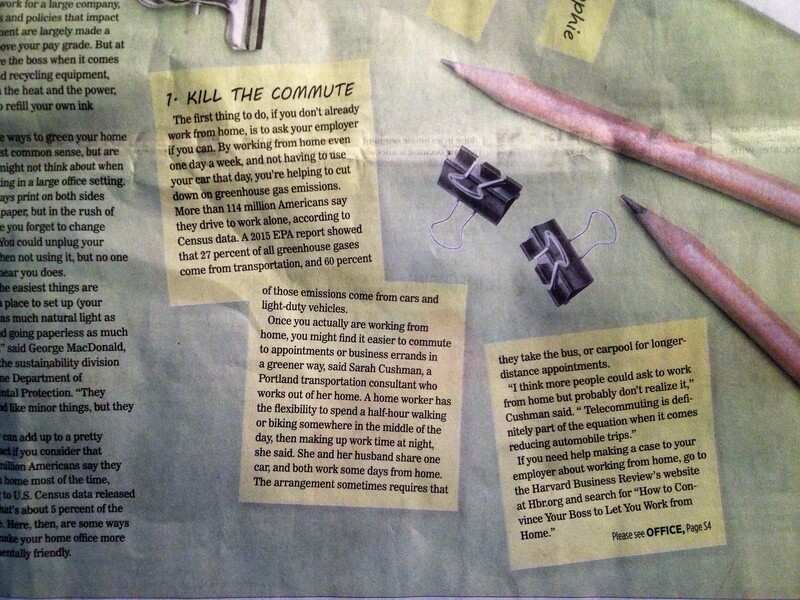 Organizations across the state pitted their workplace against others for how many of their employees carpooled, took the bus or train, or bicycled or walked to work over those twenty-one days. 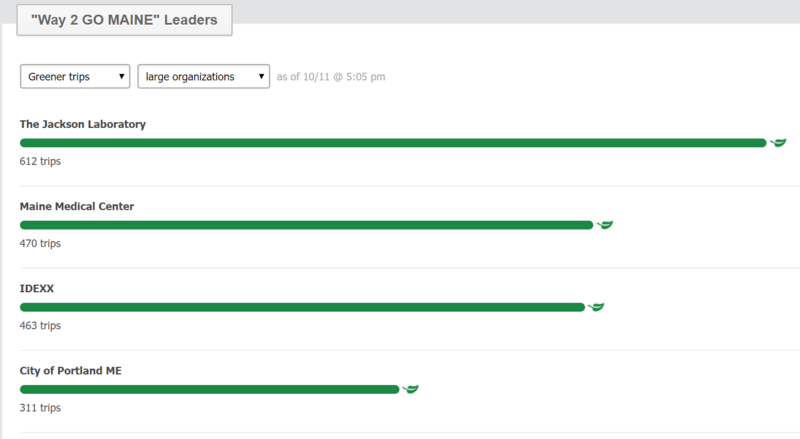 Team champions at employers offered simple encouragement to engage their co-workers and tracked their organization’s progress on the Way 2 GO MAINE leaderboard online. 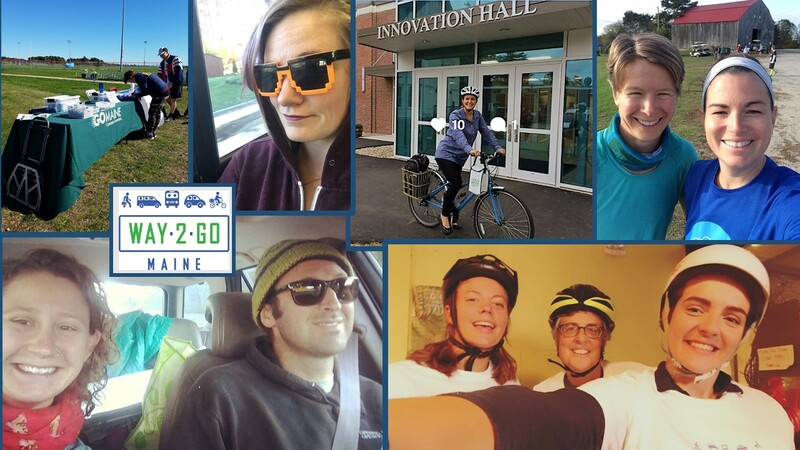 Participating employees joined GO MAINE if they weren’t members already (which also gives them access to the Emergency Ride Home benefit), logged their trips, received incentives and posted photos of their commutes on social media – competing for the most alternate transportation trips recorded, most new GO MAINE members and most team spirit. 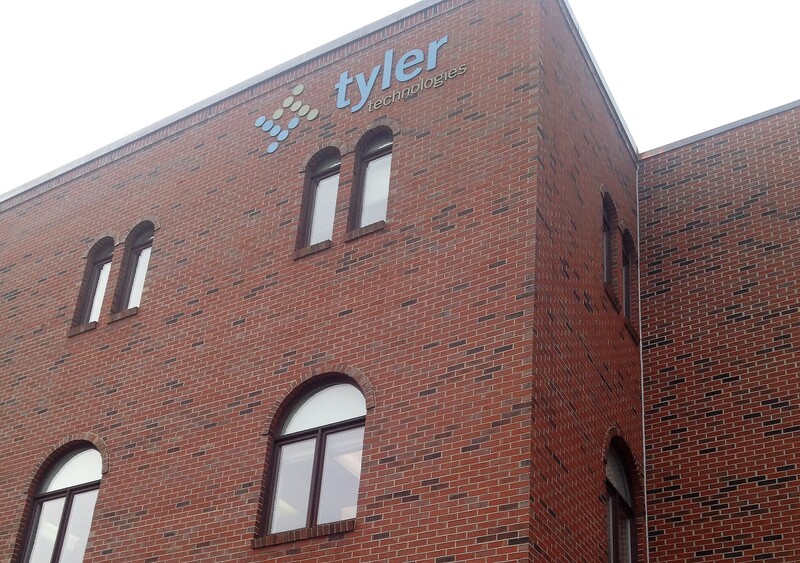 A number of businesses jumped right in – for example, Tyler Technologies (required to do a TDM plan in Yarmouth as mentioned above) won 1st Place for Most Greener Trips for medium size organizations. However, municipalities and regional planning organizations also gave a great showing. The City of Portland won Most New Members in the large organization category and the Greater Portland Council of Governments was 2nd in New Members and 3rd in Greener Trips – plus it submitted an amazing video for Most Team Spirit. 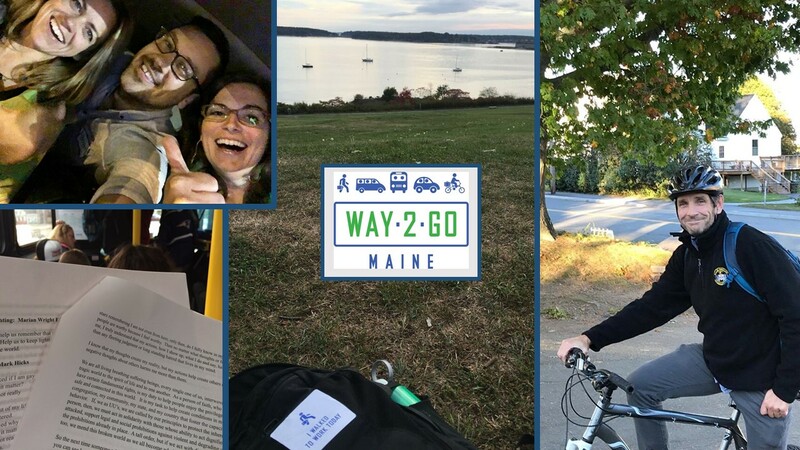 “The City of Portland’s active participation in Way 2 GO MAINE helps us show the city is truly committed to our larger TDM work and that we’re walking the talk,” Nell Donaldson reported. This summer I finally decided to come up with an elevator speech to describe my TDM work. I did some writing and brainstorming and talking with folks and came up with, “I help people have happy commutes.” That sounds pretty sentimental for a technical field. However, enabling happy commutes is at the heart of this work. It’s what I’ve loved about it for years and what feeds me most. As planners we have the chance to help people and businesses and communities navigate transportation choices, use their own creativity to make them work and watch them bask in the many benefits – financial savings, social connection, reduced environmental impacts and improved health. 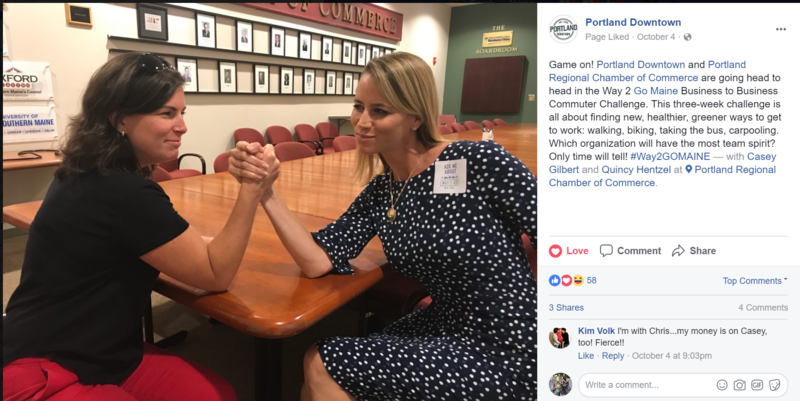 Throwing Down the Gauntlet – businesses challenge each other for Way 2 GO MAINE! 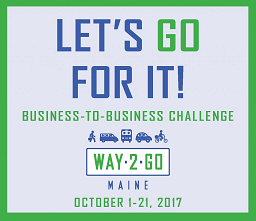 “Make your commutes count October 1st-21st!” was the rallying cry of the Way 2 GO MAINE Commuter Challenge this past month. 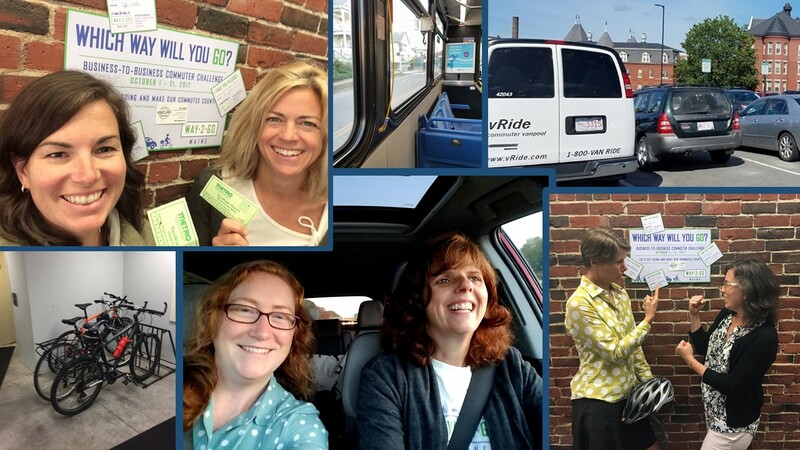 Cushman Transportation Consulting, LLC was thrilled to co-develop and deliver Maine’s first ever business-to-business challenge with GO MAINE, the statewide commuter assistance program. 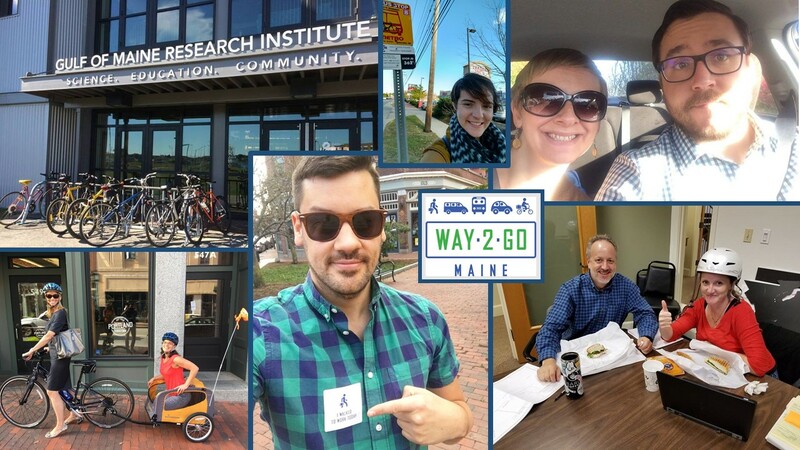 Way 2 GO MAINE was a three week, build-a-new-habit campaign – creating friendly competition between organizations across the state to see how many employees could walk, bike, take the bus or train or carpool to work. It was also a way to celebrate those activities, reward folks who are already out there doing them and inspire other Mainers to do the same! 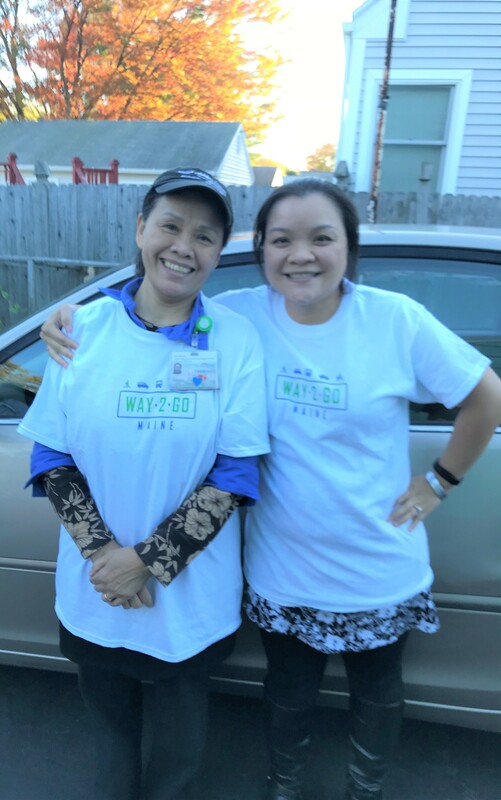 The three week, build-a-new-habit campaign engaged team champions for each employer who offered simple encouragement to their fellow employees and posted photos and videos on social media with the hashtag Way2GOMAINE. Participating employees logged their trips, received incentives and watched their workplace zoom up the leaderboard. 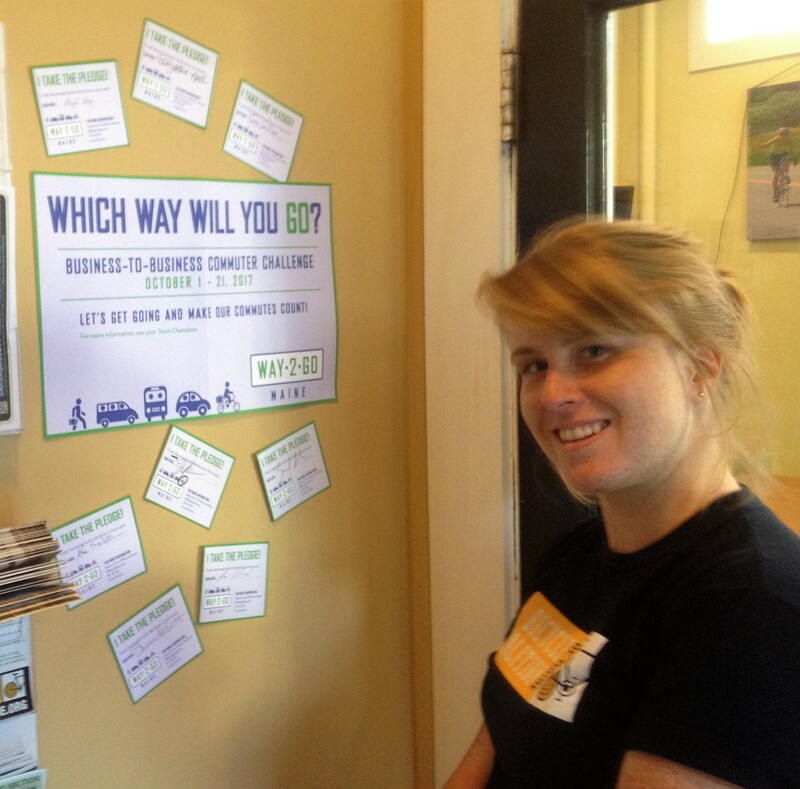 Stalwart allies like the Bicycle Coalition of Maine started signing employees up early with campaign pledge cards and posting them at the office. We had a great time with the kick off of the campaign at local large employer UNUM on Monday the 2nd! It was inspiring to speak with staff there – some who already bike or carpool to work and others who are curious about trying the bus or other green commutes. We designed and distributed event materials and swag and had fun seeing some folks in action when it worked to drop them off in person. Workplaces offered their own rewards, too. For example, the City of Portland gave out gift cards to top participating employees as part of its City Fit! program. 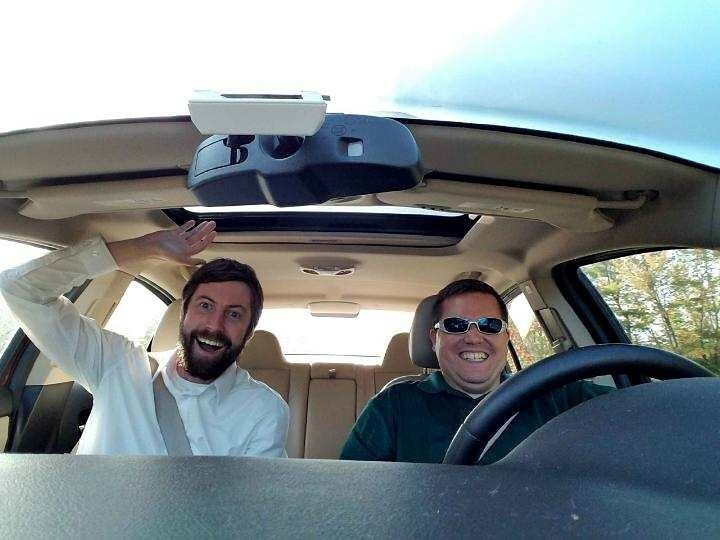 And MEMIC offered $250 to the first 10 employees who signed up for a bus pass or carpool parking in October and gave up a drive-alone parking space – and boy did employees take them up on it. Now, for the winners! All winning organizations were awarded a donation made in their name to one of three organizations of their choice that help improve air quality: American Lung Association, Arbor Day Foundation, and the Audubon Society. 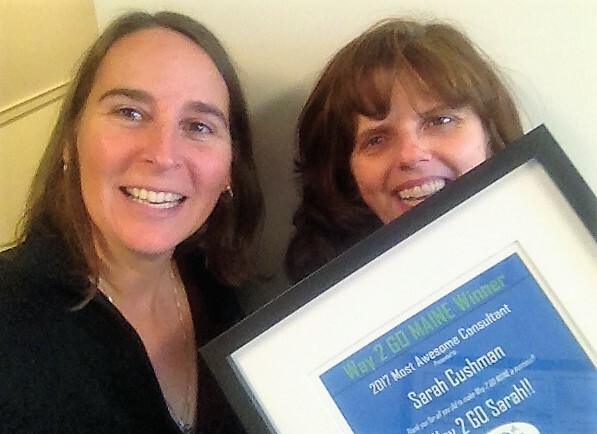 We had a great time distributing awards to the winners and Rebecca Grover of GO MAINE even presented me with a Most Awesome Consultant Award. We had a blast working together and are looking forward our next go at it. 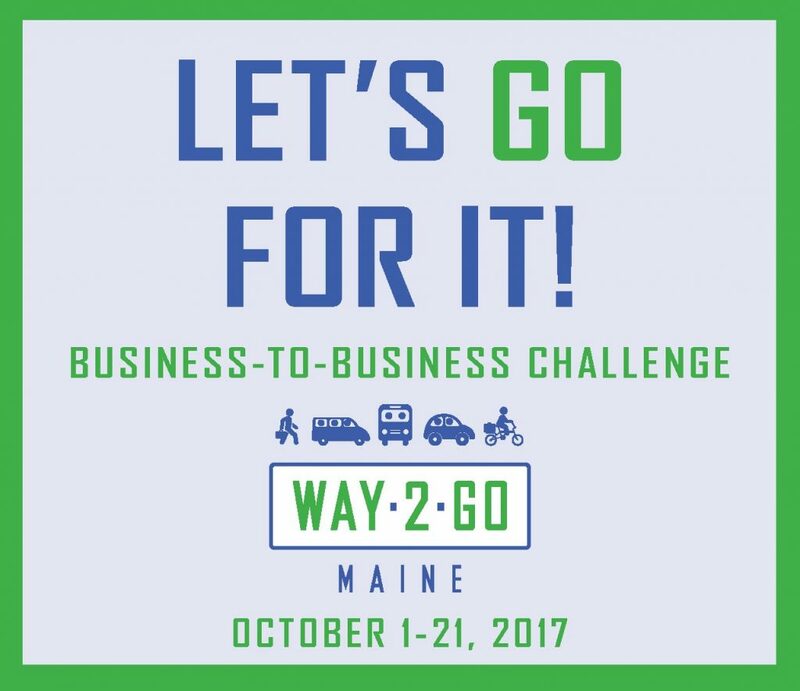 If you participated in Way 2 GO MAINE, please complete this quick survey (takes less than 5 minutes) to help us make it even better next year! A version of this column was published in the Maine Sunday Telegram’s Source section. Most of us know the benefits of carpooling. Sharing rides cuts our household transportation costs. That’s significant when almost 20% of individual income goes to own just one vehicle. 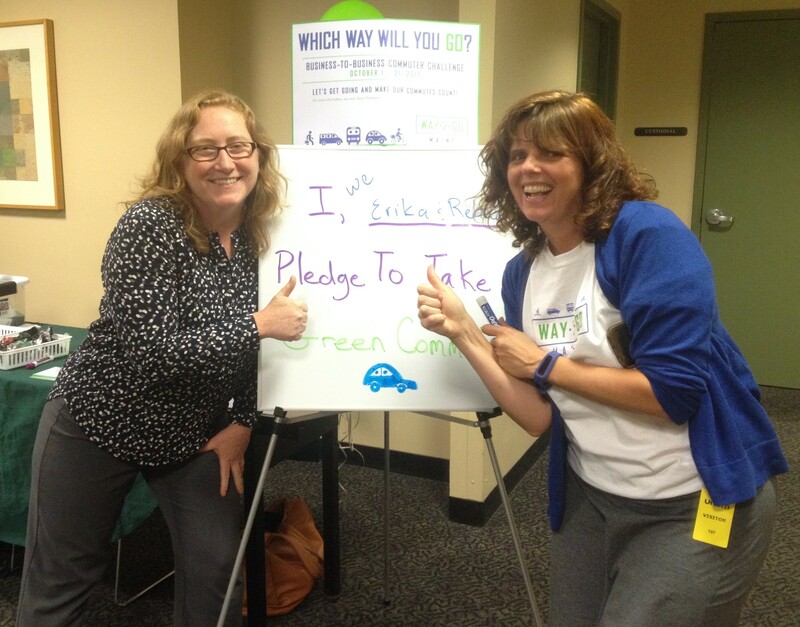 Carpooling also reduces our greenhouse gas and other vehicle emissions. However, the most important benefit may be that carpooling makes us happier: strengthening our human connections, reducing stress and building community resiliency. 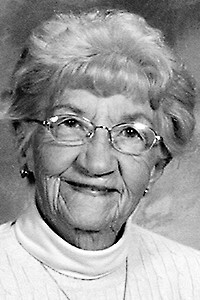 My grandmother’s first cousin, Frances Burgess, passed away this summer at age 96; she had a sweet sense of humor and was one of my all-time family favorites. She also was a carpooler. Frances and her husband raised their family in a small cape in the midst of farmland in Saco. They had one car and worked staggered shifts at the Portsmouth Naval Shipyard. When Frances headed to work she left her two daughters in the care of her mother and carpooled with a group of neighbors. She was tickled by the friends she made and stories she heard over the years riding together. There were more men in the carpool than women, she explained, and it was a unique opportunity for friendships in an era when time with the opposite gender was rarer. I connected with Ben because I met his former rideshare buddy, Rachel Porter, at a work event last fall. 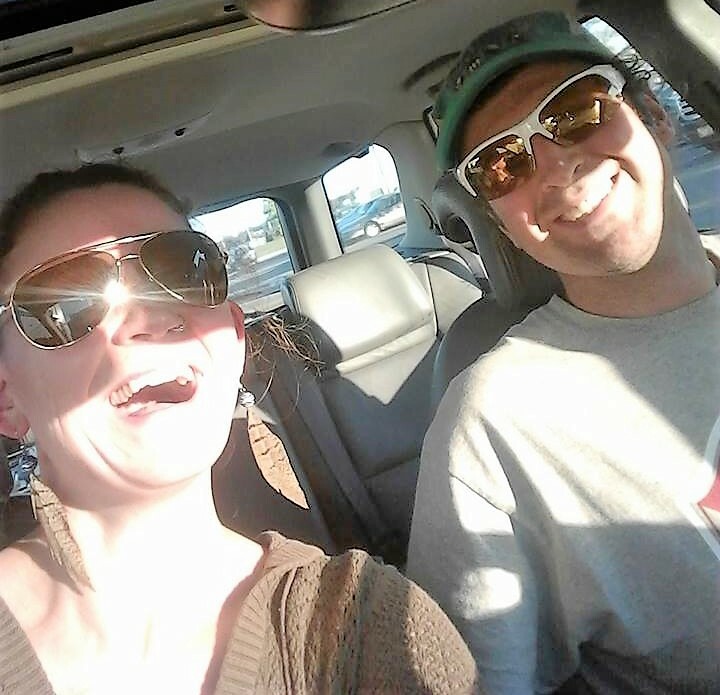 Rachel and Ben carpooled to work for three years before she recently moved and she shared similar thoughts about the benefits of ridesharing. Carpooling like Frances did and Ben does used to be far more commonplace in Maine and around the country, when most families owned only one car or none at all. It took some Yankee ingenuity to make things work and get where you needed to go. Maine is primarily a rural state – the most rural in the country according the 2010 U.S. Census, based on the number of communities with populations less than 2500. Many Mainers would like access to public transportation but the spread out-nature of our homes and towns decreases the viability of strong transit networks with frequent service. 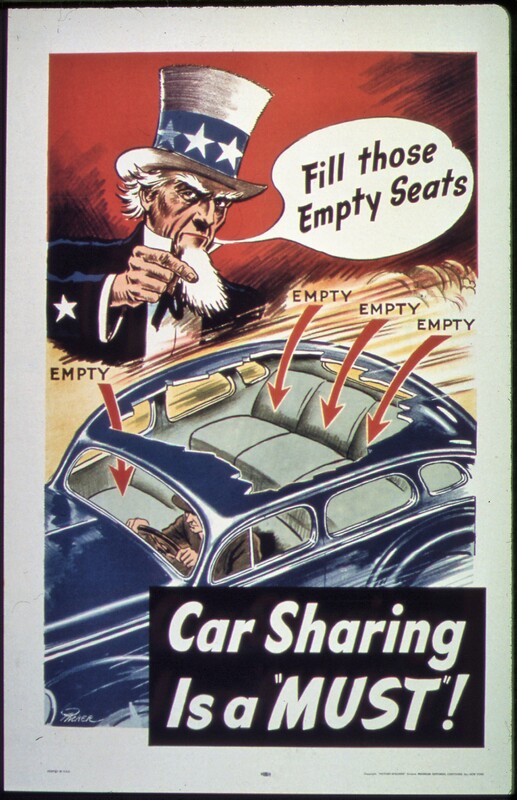 Years ago, I remember a staff person from the GO MAINE statewide commuter assistance program showing a WWII era Uncle Sam carpooling propaganda poster and saying, “The best option for public transportation many of us have are the empty seats in our cars.” That’s still right. Carpooling trends have decreased over time. Households started buying more cars in the 1950 and, by the new millenium, almost half of car-owning families had two or more vehicles and more than 90 percent of American households had at least one. Many of us don’t carpool because we think it won’t work for us. “I have kids to pick up, I have to run errands after work, I just want some peace and quiet, what if my aging parent suddenly needs me?” Or maybe we tried it once back in 1992 and it didn’t work for one reason or another. If either of these scenarios speak to you, I say give it a(nother) try. It doesn’t have to be all or nothing. Broach the subject with a co-worker to experiment for a couple weeks. Ask a neighbor who is going your way to try it for one or two days a week instead of every day. If you don’t know anyone making a similar trip, do the quick sign-up and try out GO MAINE’s recently revamped and state-of-the-art ridematching service. It shows photos and profiles of people who live near you or who commute to near your destination. “It’s like Match.com for carpoolers,” said Rebecca Grover, the Program Coordinator, during a recent conversation. 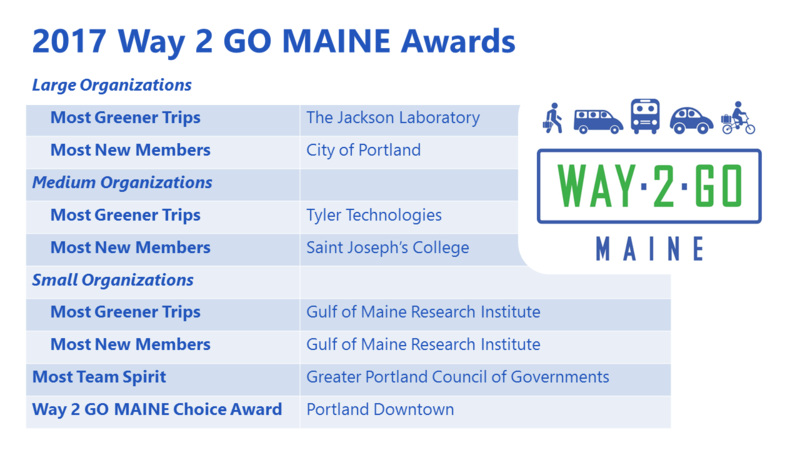 GO MAINE also offers rewards to those who log their trips walking to work, bicycling, using public transportation and carpooling. And if you use a smartphone, all this has just become easier with the new GO MAINE app. One of the best parts of being an active GO MAINE member is the Emergency Ride Home Benefit. It’s a free taxi ride with a registered taxi company or Enterprise Rent-a-Car home in the event there’s a family crisis, you get unscheduled overtime or have another unforeseen workday emergency. Think about rides in your personal life that you can share, too, if you don’t already. Carpooling with other people’s kids to soccer practice, sharing a ride to a community meeting or your place of worship. If you’re hosting an event, consider using something like groupcarpool.com to enable folks to share rides. It’s a national app and online service specifically designed for one-time occasions. It’s free for an event with up to 50 participants and charges $10 for an event of up to 500 participants, with no registration or fee required for attendees. That’s an attractive and low-barrier option for people to try. Plus there’s no better ice-breaker for a conference or other occasion than for participants to have already built community before they even arrive. Enough of the nuts and bolts though. Moral of the column: carpool and live to 96. It’s that simple. For some fun carpool love, check out James Corden’s carpool karaoke videos from The Late Late Show. It’s hard to watch only one! Many thanks to Anne D. Burt, the wonderful Maine climate activist from Edgecomb for inviting me to speak on the transformative aspects of using preferred modes of transportation at the 2017 Maine Climate Conference. I met Andy years ago when we were both doing environmental work through our local Quaker meetings (she’s a member of Midcoast Meeting in Damariscotta). A version of this piece was published as the monthly Treading Lightly column in the Maine Sunday Telegram’s Source section. Walking and biking are not just for the young, fit and able-bodied. And the benefits of these activities extend far beyond merely exercise or recreation – to enhancing the connection we have with our neighbors in our communities. Fortunately, Maine is home to several organizations and programs that help seniors and people with disabilities get outside for a walk or a ride. Before I tell you about a couple of these efforts, let me start with a story that illustrates why they’re so essential. I met Bangor resident Annie King recently when I taught a MaineDOT-sponsored class in defensive walking (think what you were taught about defensive driving; now apply that idea to walking) at Miller Square on Harlow, a facility for seniors in Bangor where she lives. Annie rolled into the room in a motorized wheelchair and joked that I’d been brought in because of “the crazy adventure” she’d recently gone on with her friends. Annie and her friends, Diane and Marcia, decided to visit the farmers market one Sunday in June. Annie and Diane use motorized wheelchairs, and Marcia is legally blind and uses a white cane. Annie also has to carry her oxygen tank. “We went down to the market, across from the library, and cruised around,” she said. “It was a nice day, so we said, ‘Let’s go down the next street,’ ” Annie continued. They turned down Franklin and then stopped at a little park on Kenduskeag Stream, where they sat for a few minutes so Marcia could catch her breath. “You know, I’ve never been to that bagel place. Let’s go there,” Annie suggested to her friends. They followed the stream to Central Street and, after a snack at Bagel Central, headed home. Norumbega Parkway along the Kenduskeag Stream in downtown Bangor, where Annie King and her friends took a break on their adventure. “It started to rain on our way home, and we ducked under the portico of one of the buildings while it poured,” Annie said, laughing. They had gone less than a mile. How many times have you done a simple outing like that – to a nearby park or to see a friend or to your downtown or village area to run an errand – and it turned into something that gave you such pleasure? Which brings me to two Maine programs that help people who need assistance go on their own everyday adventures. Two weeks ago, I stopped by the Back Cove Trail in Portland with my dog Lola to talk with some folks from Maine Adaptive Sports & Recreation, among them Leo Albert. He greeted Lola warmly. Leo started working with Maine Adaptive this summer to modify the recumbent tricycle he has barely used for the past 13 years, because of a painful leg length discrepancy. Maxine Michaud was pedaling on the cove, training for the Great Maine Getaway MS Ride on a Maine Adaptive tricycle. Max, as she calls herself, has multiple sclerosis and limited use of one of her legs. To get around, she uses the tricycle as well as an experimental, Maine-designed Afari, which helps her walk over uneven terrain. Another program, Portland Wheelers, also helps people get outside and connect, in their case, people who are physically or mentally unable to bike, even with adaptive equipment. The organization offers free recreational rides to people of any age who are living with a significant disability. I took a spin with Doug Malcolm, the group’s founder and director. I sat in the “wheeler” seat with Doug, the “pilot,” pedaling just behind me on one of the program’s tricycles, a setup that made for easy conversation. We rode along the Eastern Promenade, soaking up the view. “We’re yakking all the time when we’re riding,” Doug said. “Wheelers and pilots both love it. As pilots, we get to hear wonderful life stories. And when we’re in a pod of two or three trikes, we’re often laughing it up, because someone always seems to be telling a joke. 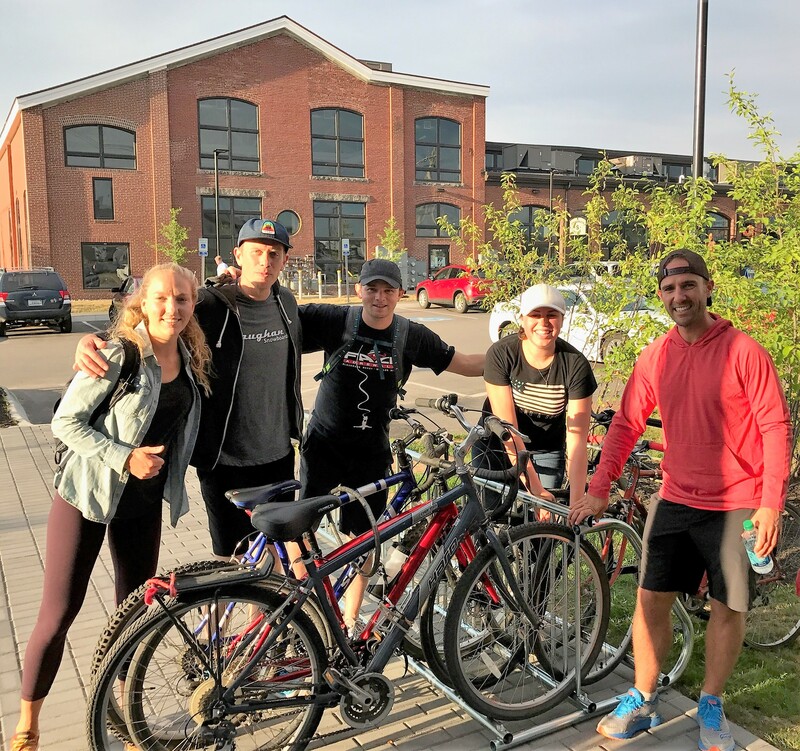 “We know from Canadian research, and a study we’re involved in ourselves, that if you get people outside riding in groups on a regular basis, it can dramatically improve levels of depression, appetite, sleep patterns and a sense of connectedness,” he said. As a sustainable transportation consultant, I’ve come across similar findings, and not surprisingly they always make me eager to get out and walk and bike more. Annie, Leo and Max offer me a glimpse of the future I can feel hopeful about stepping into. If you don’t live in Greater Portland or one of the residential facilities served by Portland Wheelers, the nonprofit offers a Come to Us service. Preregister on their website, portlandwheelers.org, for a Saturday ride time and get transportation to meet the group at Cyclemania in Portland. Every summer, Maine Adaptive Sports & Recreation offers its bicycling program in Portland and Bethel. On Sept. 23, Maine Adaptive teams up with Slipping Gears Cycling to hold an adaptive cycling day for people with disabilities ages 4 and up. Bangor City Forest, 10 a.m. – 2 p.m. Cycles of all types and sizes will be available or riders can bring their own. Preregistration required, email info@maineadaptive.org.